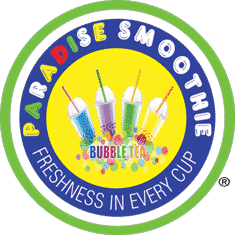 Paradise Smoothie established in Baton Rouge, LA 2001. Isn’t just a drink, it’s an attitude and a lifestyle. A delicious taste that will keep you wanting for more. “Drink Fresh, Drink Fun & Drink Healthy” that is our mission. With over 15 years of experience, we are continues to bring freshness quality drink in the smoothies and bubble tea business. We strike to bring the fun to our drink menu, we keep a high standard products goal, setting the bar for our customer satisfaction.